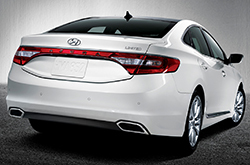 The 2016 Hyundai Azera is here again for the new model year and it's offering two new features on the Limited trim. Each standard technology offers assistance to drivers while on the go and improve the overall driving experience. Aside from these two additions, the premium sedan is primarily unchanged this year and still offers excellent cargo space, a roomy interior with seating for up to five passengers and a variety of outstanding standard features designed to benefit drivers and passengers. Please take a look at our in-depth 2016 Hyundai Azera review below to learn more about the vehicle and its collection of attractive components. 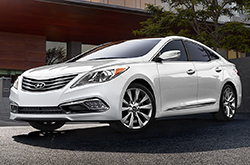 Delivering 293 horsepower and 255 lb.-ft. of torque, a 3.3L V6 engine drive the 2016 Hyundai Azera in Carrollton. It's matched with a six-speed automatic transmission that sends power to the front wheels and has the ability to jet from 0 to 60 mph in 6.8 seconds. Additionally on the base model, the sedan produces an EPA-estimated 23 mpg combined, 20 city and 29 highway, while the Limited trim outputs 22 mpg combined, 19 city and 28 highway. With fuel economy estimates that are almost identical, either model is a great pick for today's buyers. The only additions to the Azera lineup for 2016, is the two new technologies on the Limited trim. An electronic parking brake with an automatic hold function and adaptive cruise control have both become standard components on the latest version of the premium sedan. These new features help assist drivers while on the road and are likely to appeal to those in the market for a new premium sedan with innovative technologies. Addtional features offered on the Limited, such as rear parking sensors, a panoramic sunroof and lane departure warning, are likely to impress buyers as well. 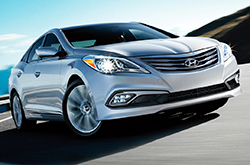 For more information about the fresh Azera model and its offerings, keep reading our 2016 Hyundai Azera review. You'll find further spec information and a 360-degree video if you scroll down below. 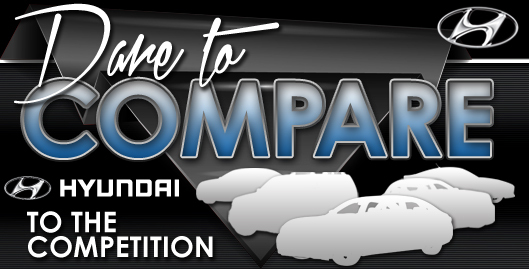 We dare you to compare the latest Azera model side-by-side with classmates like the 2016 Toyota Avalon, Buick Lacrosse, Chrysler 300 and the Ford Taurus. That's how confident we are that it's perfect for you. Just a few of the attributes that shoppers in TX will be thankful for are the Azera's attractive styling and competitive pricing. You'll undoubtedly see that when compared to the forementioned vehicle options it's a phenomenal value in regard to price, which is why many Carrollton Hyundai customers choose it. Find even more info about its specs; see our quick-facts list for the Azera - bullets under this text. Thank you for reading Van Hyundai's 2016 Azera review! With the help of veteran automotive writers, we have published online some of the best reviews about Hyundai's models that you'll find online. Everything you need to know about the Azera and other Hyundais is right on our site. Each article is packed with vehicle specs and helpful facts pulled directly from Hyundai and other sources you can be sure of to give you ultra-precise info. After reading over about the 2016 Azera, please phone Van Hyundai to learn about national OEM specials and lease offers.